No Fault Rubber Mulch (100% nuggets) contains recycled elements (100% recycled tire rubber). 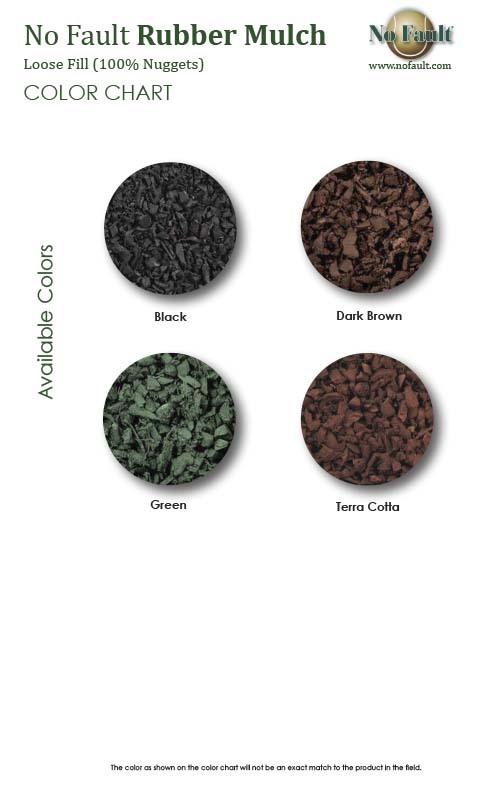 Our mulch is an environmentally sustainable product that is non-toxic, organically colored with UV protectors, available in many color options and is guaranteed not to fade. No Fault Rubber Mulch safety surfacing is also environmentally clean (i.e. does not create dust, decompose, rot, absorb water, displace, or attract insects like traditional wood chips). Our No Fault Rubber Mulch is ASTM and ADA compliant. 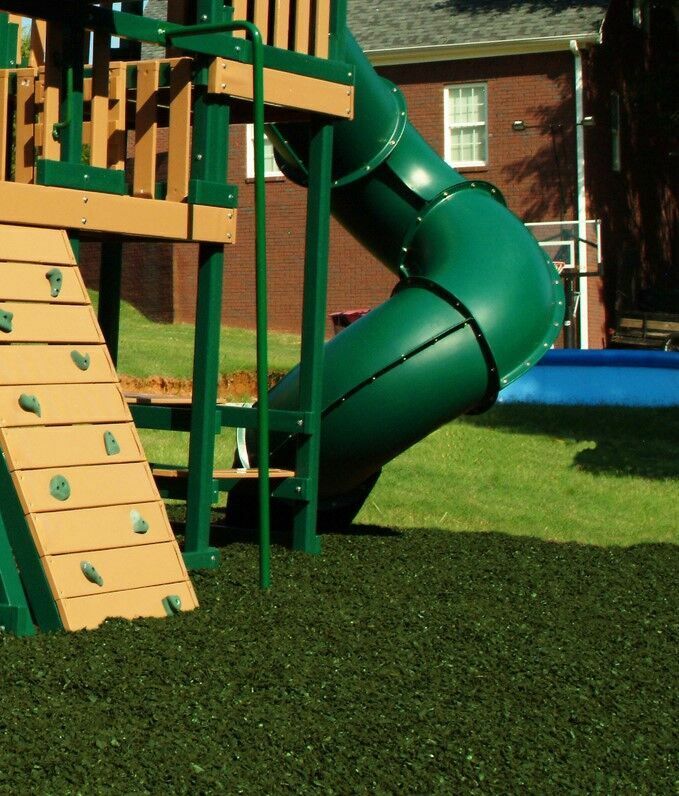 Rubber mulch for playgrounds makes an ideal, safe surface for commercial and backyard playgrounds. It also creates surfacing for walkways. and is aesthetically pleasing for use with landscape.